Share of the seats in Congress in the same period. Would it be possible to collect the same data at state level (such as Texas)? 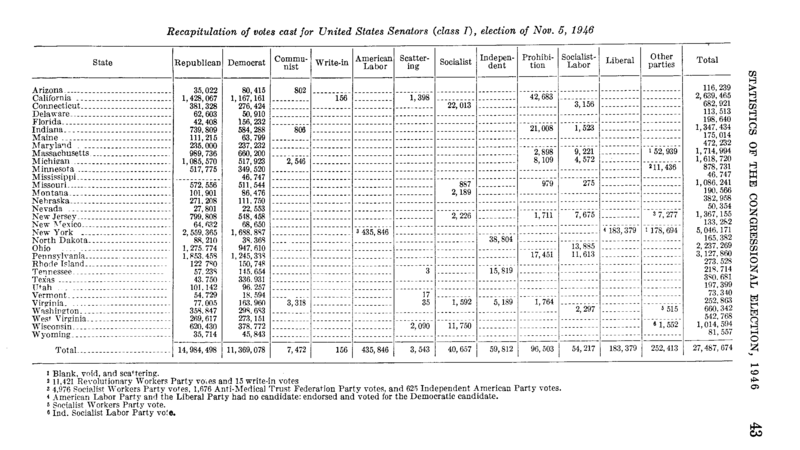 Assuming you are looking for data showing the vote share of each party for the 1946 House and Senate midterms, on state and national level, here is what I found. That data appears to be exactly what you described as long as I interpreted it correctly. 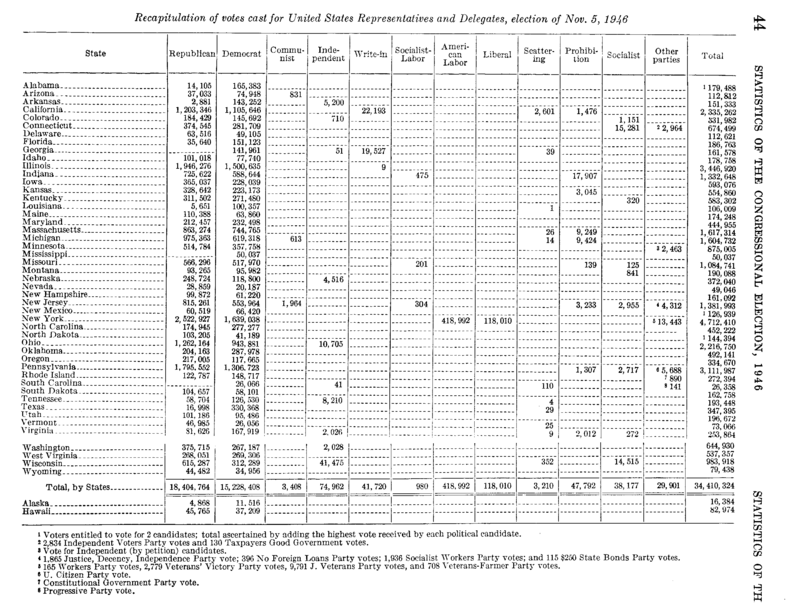 But for actual numerical data in digital form, I'd suggest looking through this list of election data sources from University of Michigan, or this list from the Library of Congress. That is probably a good starting place, depending on how specific and in what form you need the data. I'm sure more data available through proprietary services or in university databases, but as for what I could find on the public internet, I hope this helps. Not the answer you're looking for? Browse other questions tagged united-states election congress data-sources or ask your own question. Does controlling the two chambers of the congress make the passing of new laws easier in the U.S.A.? How does it work if, following a mid-term vacancy, there are two Senate seats available for a particular state?